As digital marketing technologies have evolved, so too has the role of the CMS. For the last decade, leading platforms have raced to expand their offerings, adding feature after feature to leap ahead or just stay in parity. Today, marketers are looking to blend newer, best-of-breed technologies with their web strategy—challenging CMSs to integrate seamlessly and focus on doing what it does best: managing content. 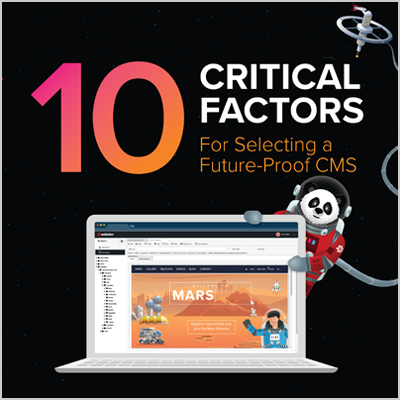 This e-book explains key considerations you should have in mind when choosing a CMS platform that can fit the current and future needs of your organization to further achieve success.